Math Games and Activities - Welcome to Room 23! Practicing math at home helps strengthen your child's understanding. The following websites and games have been approved for home use. You will be asked to use your enVision login to play this game. 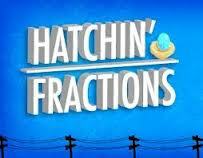 Help the bird hatch its eggs by estimating the right fractions. Use the factor tree to help you find the greatest common factors of numbers. 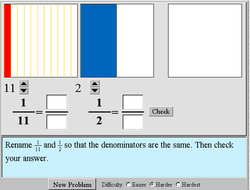 The GCF will help you reduce fractions to their simplest form! Practice our vocabulary and take a fun quiz! After downloading Java to your computer, you will be able to use any application on the NLVM website. 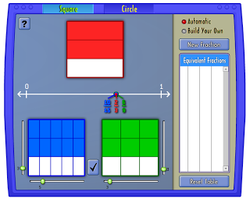 Various applications help students form concepts around adding and subtracting fractions. 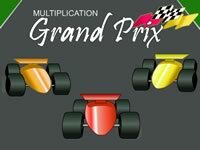 Students practice creating equivalent fractions in a fun, fast-paced dirt bike race! Your child has a log-in to an IXL account. IXL has specific activities for each grade, and each topic. 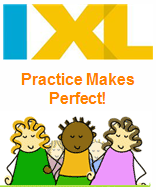 We practice IXL in class, but also ask students to practice it at home. 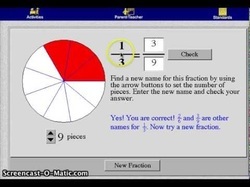 We use this application in class to practice creating equivalent fractions. At home use will greatly increase student understanding.